The human body is a masterpiece. The structure and the physiology are truly marvelous! A few years ago, I wrote a post about some amazing body facts which surprisingly turned out to be my most read blog post. There is so much to learn so I am sharing some interesting information about the human body's internal structure. ► What are the largest and smallest organs in the body? The skin is the largest organ. In an average sized human, the skin has a total area of 20 square feet. The skin acts as the body's first line of defense against illness and infection. It also helps regulate our body temperature and protects our internal organs from damage due to external elements. The smallest organ is the pineal gland. It is about the size of a grain of rice (5 to 8 millimeters) and is located in the center of our brain. Its main function is to produce melatonin which regulates our sleep cycle. ► What are the largest and smallest bones in the body? 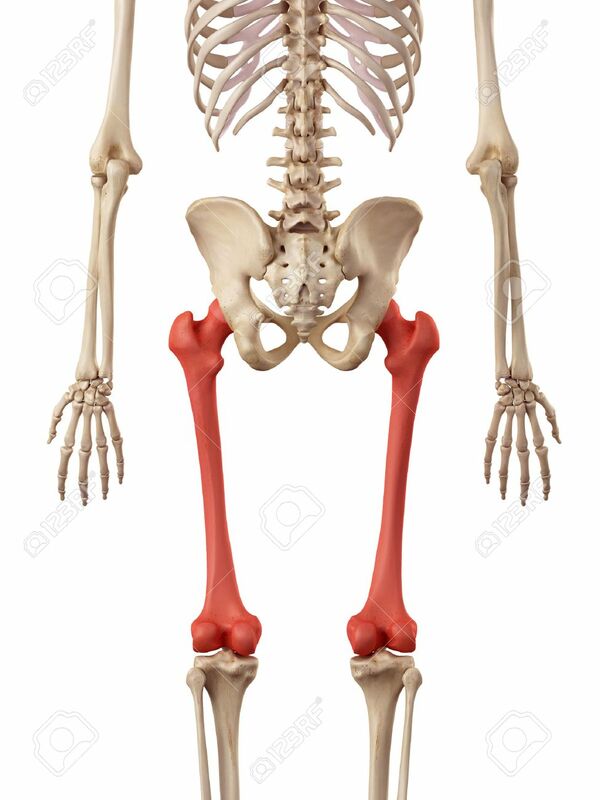 The largest and strongest bone is the femur or thigh bone. 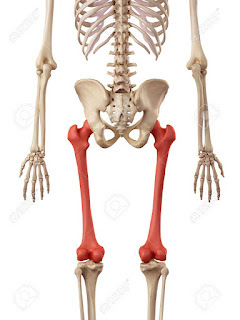 Its upper end connects to the pelvis to form the hip joint while its lower end connects to the tibia and to form the knee. The smallest bone is the stapes, which is one of the three tiny bones found in our middle ear. 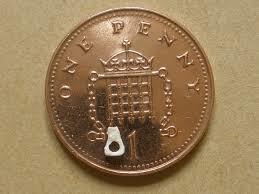 It measures around 3 x 2.5 millimeters. Now that is tiny! ► The small intestine has an absorptive surface area of 250 square meters! The small intestine is a long, narrow tube roughly about 6 meters (20 feet) in length. It is where nutrients in the food we eat are absorbed and carried through the bloodstream. What is more amazing is that inner lining of the small intestine has an absorptive surface area of 250 square meters (2,700 square feet), roughly about the size of a tennis court! 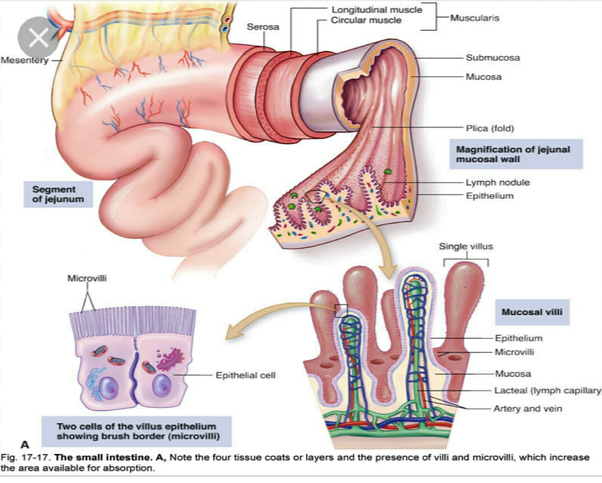 The inside walls of the small intestine are not flat, rather, it has circular (mucosal) folds along its entire length. These folds have villi or small projections that protrude into the lumen (cavity) of the small intestine. However, that is not yet the end of it. Every villus has multitudes of epithelial cells, each of which has microvilli. Think of surface area multiplied! ► The longest nerve cell in the body is approximately 0.91 meters (3 feet)! A nerve cell or neuron is composed of 4 parts - the dendrites, the some (or cell body), the axon and the axon terminal. The axon is the longest part of the nerve cell. It carries nerve impulses away from the cell body. 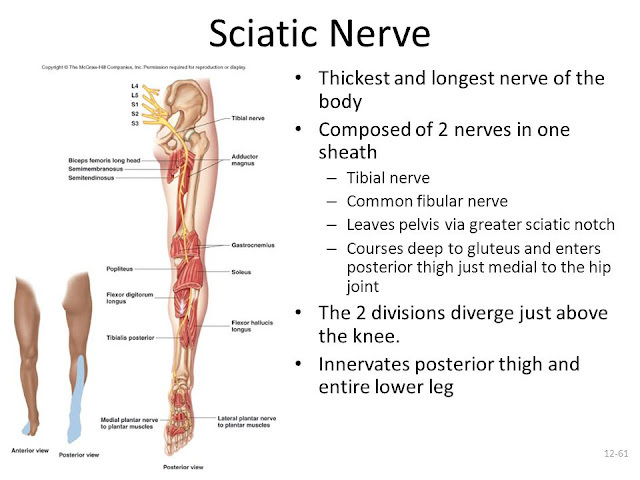 The longest nerve cell axons in the body are those of the sciatic nerve. They start from the base of the spinal cord down to the big toe of each foot. That is approximately 3 feet long in an average height human! 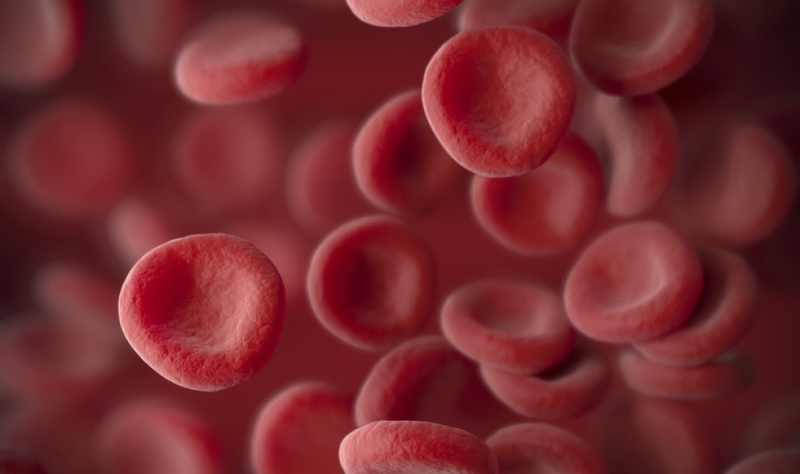 An average person has about 20-30 trillion red blood cells circulating in their body. Did you know that a pinhead-sized drop of blood can contain as much as 5 million red blood cells! A healthy red blood cell is only 6.2 to 8.2 micrometer in size. It is difficult to imagine such a minute thing doing the task of oxygenation for the body! A red blood cell's lifespan is 100-120 days. New cells are formed in the bone marrow and the old cells are destroyed in the spleen. Here's another interesting fact about red blood cells - it only takes one minute for a red blood cell to circulate the entire human body. From exiting the heart through the aorta into the circulatory system, it only takes 60 seconds for a red blood cell to return back to the heart through the superior and anterior vena cava. Wow. Acting as the command center, our brain does really amazing things. An average human brain weighs about 1400 grams (roughly 3 pounds). It receives 20% of the body's blood supply. 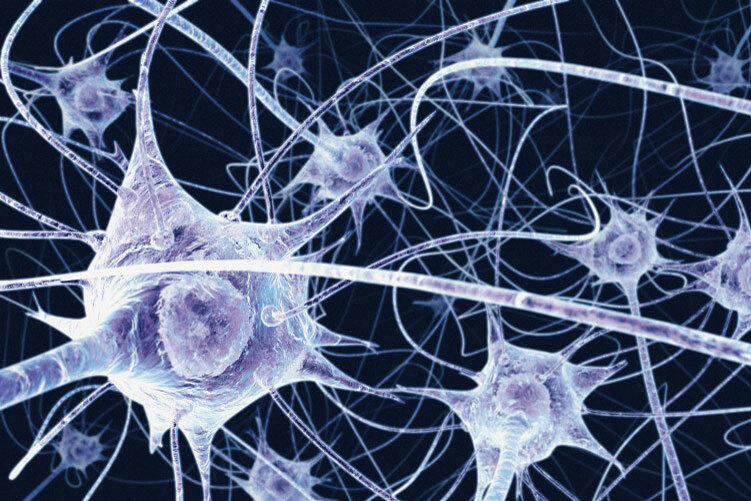 According to credible sources, our brain contains about 100 billion neurons or nerve cells that work non-stop in receiving and sending nerve impulses. There are different sizes of neurons. Some are very small with short axons and dendrites, while others have very long axons (see information about the sciatic nerve above). You may be wondering about the speed at which impulses travel through these neurons, right? The speed depends on the thickness of the axon. It has been discovered that the thicker the axon, the faster the speed of travel of impulses. So we can deduce that the long nerve cells have thicker axons to enable them to convey information faster. How fast is fast? "Slow" transmissions are about 0.5 meters per second, while "fast" transmissions reach the speed of 120 meters per second (268.43 miles per hour)! Can you imagine something going that fast inside our own bodies? Mind-boggling. ► How strong is stomach or gastric acid? 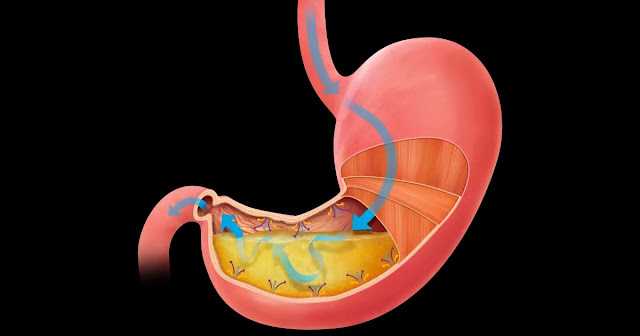 Our stomach produces three different kinds of acid that aid in the digestion of the food we eat. These acids are potassium chloride, sodium chloride, and hydrochloric acid. With a pH level of 1 to 3, these three acids can dissolve metal! Oh goodness. And to think we have that inside of us? How on earth does our stomach stay intact with that much acid in it? We must thank our stomach's epithelial cells which produce mucus and bicarbonate that forms a layer of protection for our stomach lining. The pancreas likewise produces bicarbonate that it secretes into the duodenum part of the stomach for further protection and avoid damage to the small intestine. Sometimes, our stomach produces too much acid that the epithelial cells are unable to cope with. This is the reason we suffer from gastric ulcers. The human body is wonderfully made, don't you agree? From two tiny cells merging together into a single cell that divides a multitude of times comes forth a human being! There is so much to learn and appreciate about this living, loving, thinking and rational creation that we call "our body." Feel free to read my first blog post about human body facts here.